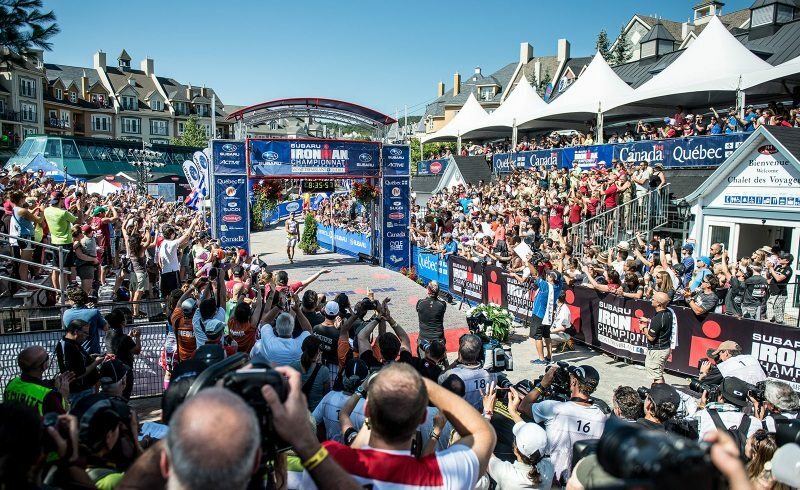 IRONMAN and Sportium Canada, a new sports and equipment store in Quebec, have announced that Sportium Canada will be the Official Sporting Goods Retailer of three IRONMAN events in Mont-Tremblant through 2018. In addition, Sportium will also become the new presenting sponsor for the Subaru IRONMAN Mont-Tremblant, Subaru IRONMAN 70.3 Mont-Tremblant and Subaru 5150 Mont-Tremblant triathlons. Through its partnership with IRONMAN, Sportium aims to put across its expertise about clothing, footwear and triathlon equipment at the forefront of the sport of triathlon. The store will also be a distributor in Quebec for select IRONMAN Mont-Tremblant event products for the duration of the collaboration, allowing runners, swimmers and cyclists the opportunity to not only get equipped at Sportium, but also to get their hands on IRONMAN-branded products. Sportium’s goal is to offer a wider selection and more brand-name sports products to help athletes step up their game. Sportium adds that it stands out thanks to a strong identity and solid partnerships, most notably with renowned athletes in the sports world in Quebec, such as Carey Price: NHL’s best player of 2015.